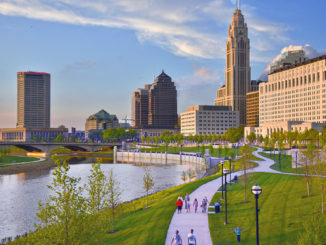 Cincinnati Children’s Hospital Medical Center (CCHMC), one of the largest pediatric research facilities in the country, is located on a dense urban campus where buildings are primarily connected through a series of underground corridors. 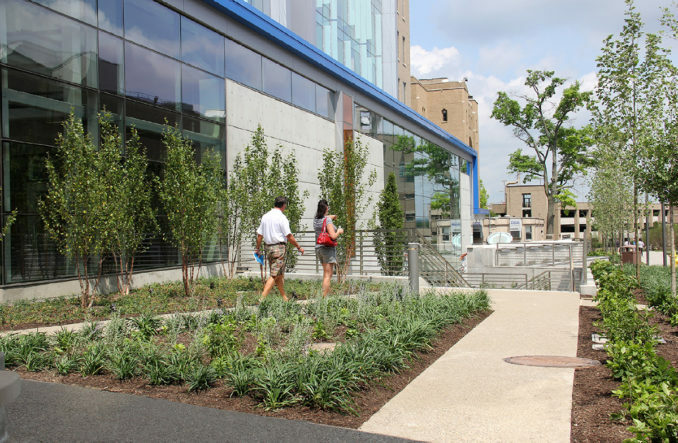 With the development of the new Clinical Sciences Pavilion, the landscape architect employed healing biophilic design principals of visual connection, presence of water, and dynamic and diffused light to transform the residual site from merely a serviceable fire lane hardscape to an enhanced public open space. 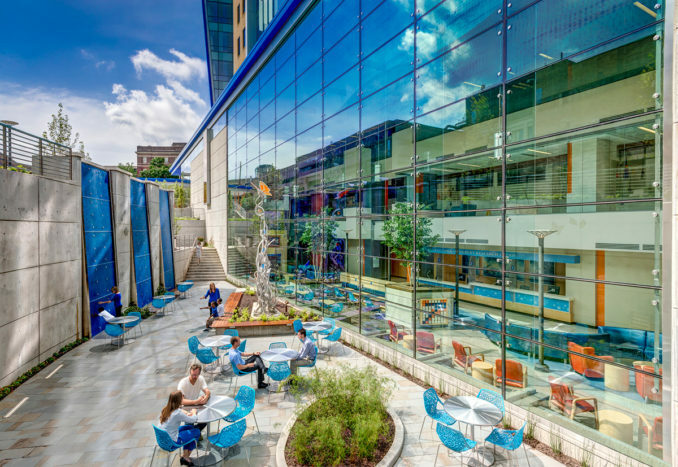 The Courtyard provides outdoor respite for patients, families and staff as well as healing views from the adjacent waiting room. 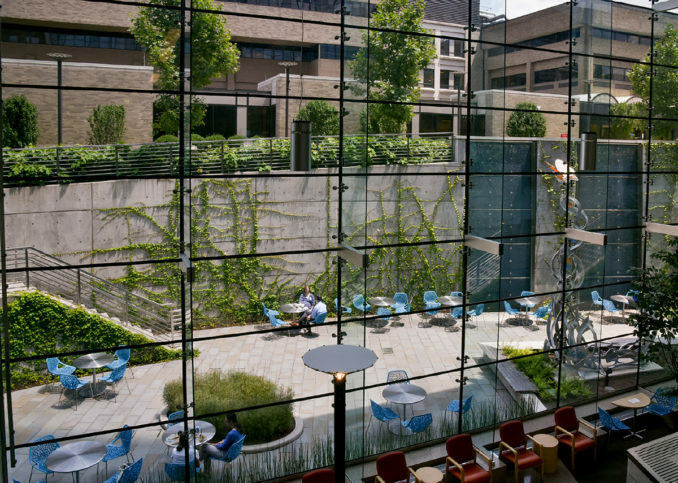 Focusing on visual and physical transparency from building to landscape, the landscape architect furthered the hospital’s translational medicine, bench to bedside mission by creating a contiguous functional and inspirational greenspace for respite and spontaneous collaboration. 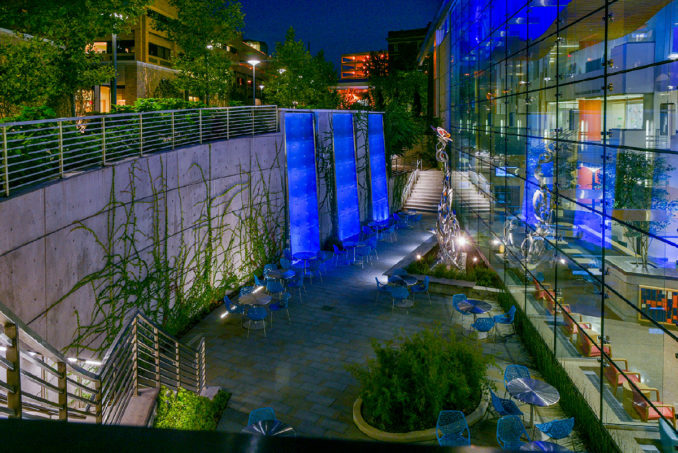 Three dramatically illuminated water walls are the key feature of the lower level Galleria Courtyard. 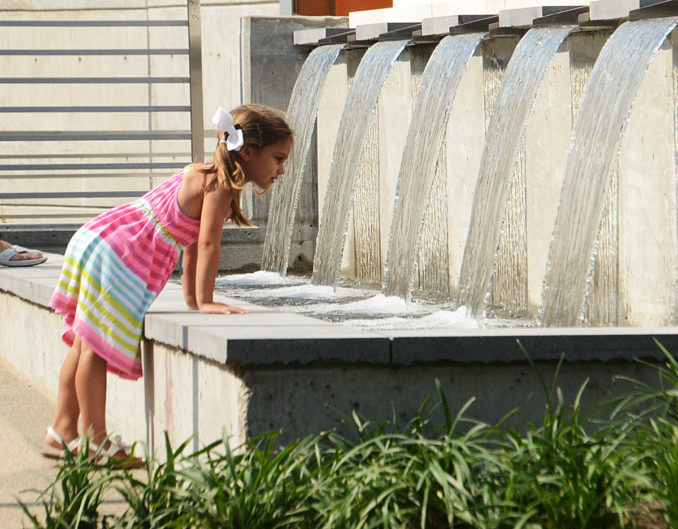 A skim of shimmering water covers the surface of the canted, textured fountain panels cascading 25’ to the basin below creating soothing fountain sounds without visible splash. 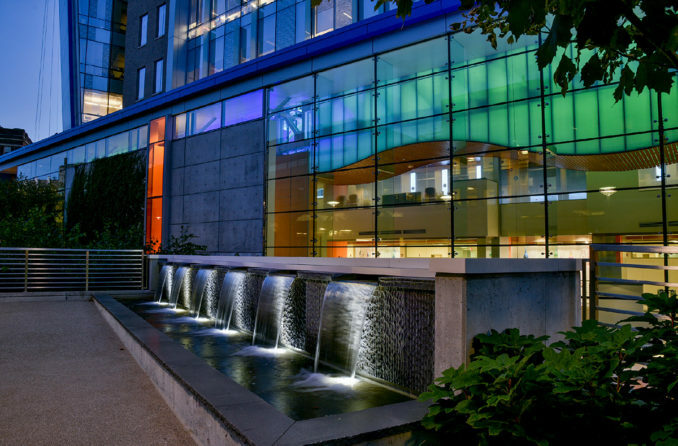 Three 24’ tall illuminated, color changing water walls provide the soothing sounds of Cascading water and invoke interaction. 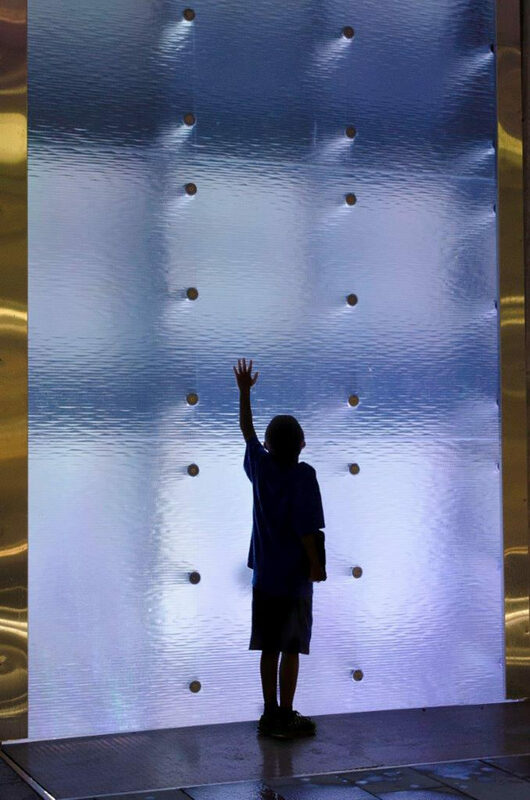 The surreal fountain surface invites touch to confirm the water presence. 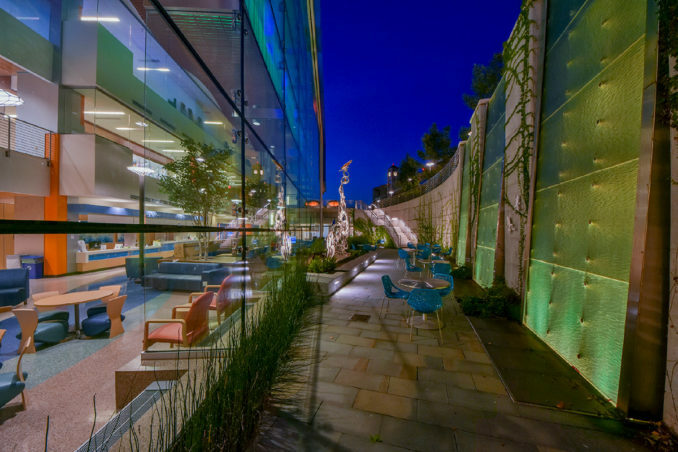 Nighttime illumination from color changing LEDs transforms the daylight blue panels to subtle hues of green, blue and purple creating a four-season feature. 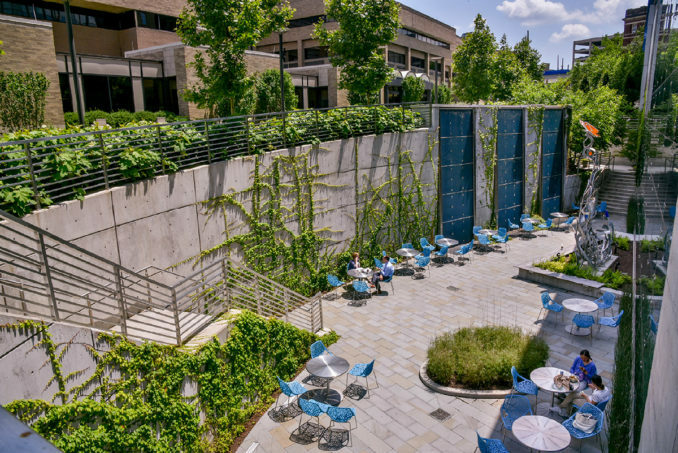 Bluestone paving, vine covered walls and a dramatic back-lit fountain wall make the Galleria Courtyard a beautiful tranquil garden. 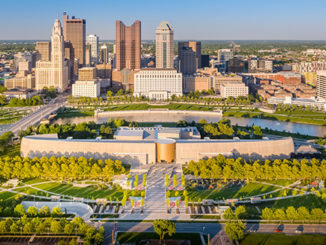 CCHMC believes the physical environment is a direct reflection of who they are, what they value, and what they strive to achieve. 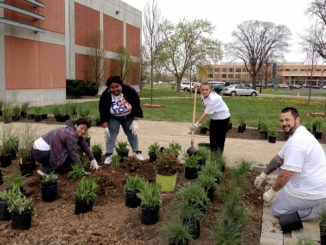 The series of garden spaces initiated a culture shift in taking these concepts outside the hospital walls, creating a first and lasting impression to the integration of family centered care and embodying their commitment to changing the outcome of children’s healthcare around the world. 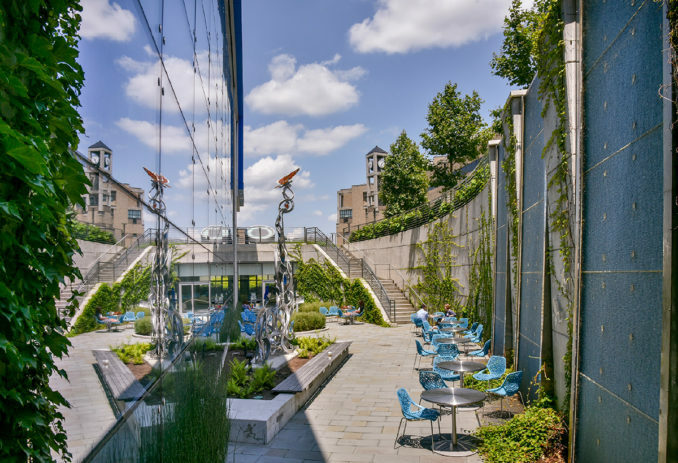 The upper level Garden Passage fountain enhances the grade level terrace with soft illumination and tranquil water sounds.